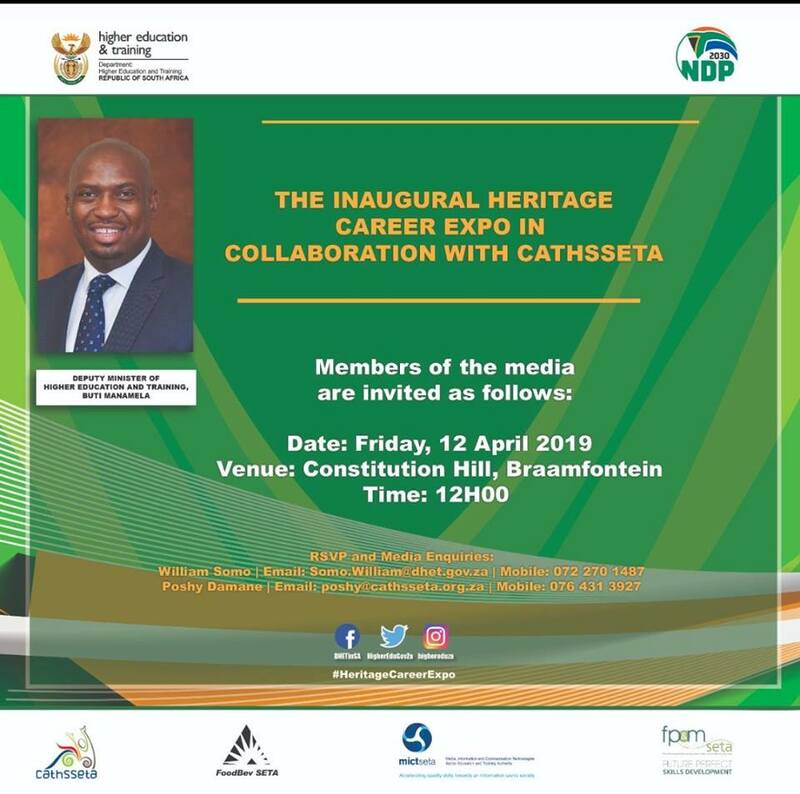 The Deputy Minister of Higher Education and Training, Mr Buti Manamela will, in collaboration with the Culture, Arts, Tourism, Hospitality and Sport Sector Education and Training Authority (CATHSSETA), host the Heritage Career Expo, 12 April 2019 at Constitution Hill,Braamfontein, Gauteng. The Heritage Career Expo follows a successful launch by the Deputy Minster and CATHSSETA which took place at Freedom Park in February. Themed Unlocking the wealth in our heritage”, the Heritage Career Expo aims to tell the story of heritage in higher education. It aims to showcase what Technical and Vocational Education and Training (TVET) Colleges, Universities and Universities of Technology have to offer in skilling young people towards careers in the heritage sector. Mainly, it exposes young people in the post schooling education and training sector to the heritage industry, particularly those that are in the TVET Colleges. The heritage career expo also seeks to empower stakeholders such as artists, chefs, dancers, crafters and poets by creating opportunities for skills development and career awareness among young people. Visual Arts which will be championed by the world renowned Ndebele painter, Dr Esther Mahlangu and Sculpture, Poet and Cultural Activist, Professor Pitika NtuliPoetry by singer, actress, African clothing designer and praise poet, Ms Jessica MbangeniSong and Dance by recording artist and actress, Ms Maduvha MadimaFashion by the winner of M-Net’s Project Runaway South Africa, Ms Kentse MasiloFood by world renowned chef and author of Through the Eyes of an African Chef, Ms Nompumelelo Mqwebu. Working in partnership with the Media Information and Communication Technologies SETA (MICT SETA), Fibre Processing and Manufacturing SETA (FP&M SETA) and FoodBev SETA, the expo will be interactive allowing learners to try different skills as will be showcased by different exhibitors. 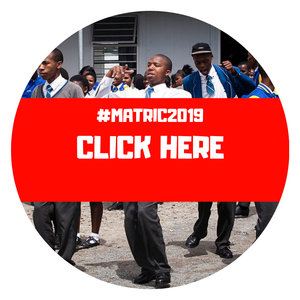 Close to 2000 high school learners and tertiary students will be exposed to exhibitions and also have an opportunity to get first-hand experience through interaction with the professionals, during master classes.